The cyber domain connects every aspect of our lives, existing in every corner of our business environment and personal life. It’s where we share thoughts, ideas, reviews and more. In the hands of a rival or a discontented employee, the cyber domain can become dangerous with great potential for damage. It is here, in these common and seemingly safe spaces of the web, where you can find the seeds for the next strike, for potential adversaries planning their slander campaigns, and even for malicious plans. Online displays of discontentment with your company can reach huge audiences. Even more threatening is the risk of sensitive data and information being leaked by employees seeking to harm your brand or make personal capitalistic gains at your expense. Ultimately, this can negatively impact your business or personal reputation with little to no time or effort on their part. Offers monitoring of the cyber domain to determine sentiments and potential threats to your company or organization. Provides cyber capabilities to high profile individuals seeking to monitor and maintain their own personal brand and reputation. Additionally, it provides preventive safety measures to you and your family members. Exploiting the cyber domain for your needs. Utilizing extended WEBINT capabilities, MAX analysts will monitor a wide spectrum of social media platforms, from social media giants such as Facebook and Twitter to local social networks, blogs, and news sites. They will look for mentions of your name or company’s name as well as discussions regarding your brand. collaboration with the client understanding the specific needs. Identify the leading influencers and negative mentions on the web to counter and mitigate them in advance. When deemed necessary, MAX analysts actively monitor and influence discussions on different social media platforms based on the direction desired by the organization. Additionally, MAX Virtual HUMINT capabilities allow the analysts to monitor deep-web and Darknet password-protected forums. This provides insight into the plans of activists in hard to reach forums who can negatively impacting your brand and products. Monitor employees and what they are saying, both in public forums and in closed circles. Uncover discontentment, identify key leaders and be alerted of any brewing turmoil before it’s a little too late. MAX analysts will use dedicated “avatars” (fictional online identities) who will follow the discussions amongst your employees in order to discover any negative sentiments and discontentment they may have, and their plans forward. Disruptive leaders will be identified in order to help you contain them and their impact. MAX analysts use dedicated “avatars” (fictional online identities) in order to monitor public forums as well as closed circles throughout the web. 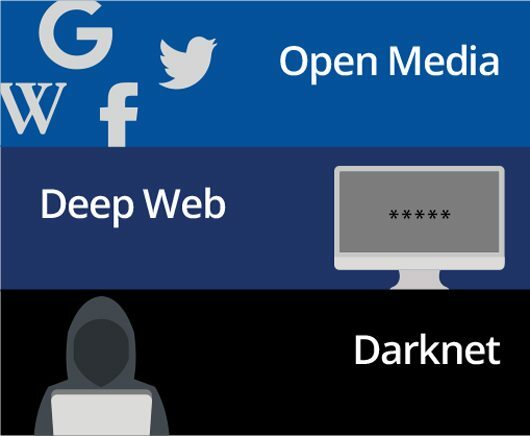 This includes access to open domains as well as the deep and dark web in order to discover criminal and other malign objectives. Uncover malicious plans to harm you and your loved ones ahead of time. We will map out the different entities identified as potential threats and penetrate their closed circles to hunt for relevant information. Any threat will be reported to you immediately together with our operational recommendations. I would like to know more about MAX Cyberspace Monitoring Service. Please contact me. Hey Buddy!, I found this information for you: "Cyberspace Monitoring Service". Here is the website link: https://www.max-security.com/cyberspace-monitoring-service/. Thank you.